2 Crafty Girls is having an inlinkz party celebrating you!!!! 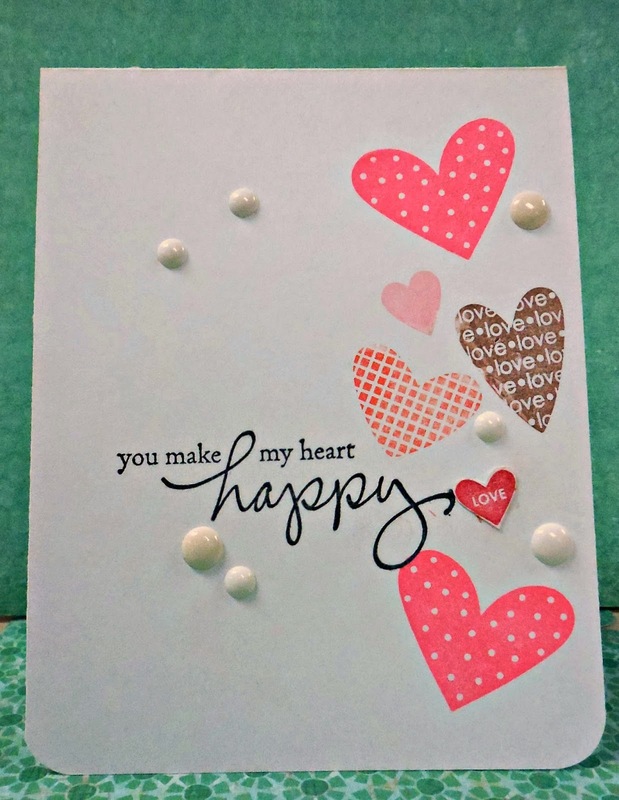 We want you to share your favorite project with us that you have made so far in 2015.
supplies and recipe: paper- white cs (recollections) cut 4 1/4 X 11 and scored at 5 1/2; stamps- i heart hearts (stampin up), handscripted (amuse studio); inks- watermelon, blush, burano, french roast and cranberry (amuse studio) and black tuxedo (memento); accessories- white enamel dot stickers (recollections). I have to admit...it was hard to pick just one!!! It's my fave because it is so clean and simple yet so eyecatching!!! I also remember giving this to my assistant at school and her reaction! She cried because she received a valentine! I think we forget what an act of heartfelt homemade kindness really means to those around us. 2 Crafty Girls Challenges will begin again in August! We have so many amazing surprises planned for you! Make sure you check back beginning July 24 to learn more about our DT members and to find out who our celebrity GDT is in the scrapbooking world!!! Fabulous CAS design! Love the hearts! !